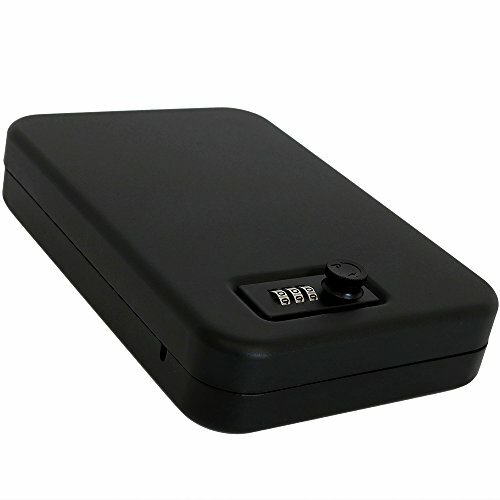 This small cable combination 16-guage steel lock box makes the perfect safe for your most valuable items. You can place it on the nightstand, in the glove box, or use it while traveling. The interior is lined with thick foam to protect your valuables from possible damage. Other great uses for travel include jewelry, personal documents, passports, plane tickets or other personal items for keeping in your suitcase. The included 1500-pound tested steel cable secures the lock box to any stationary object, car seat or internal frame of a piece of luggage. Plus, the 3-tumbler combination locking system makes it easy for you to set and reset your combination while not requiring batteries or keys to keep track of.